In November 2014 I began a two month residency in northern Iceland where I became interested in the countries unique topographic features. 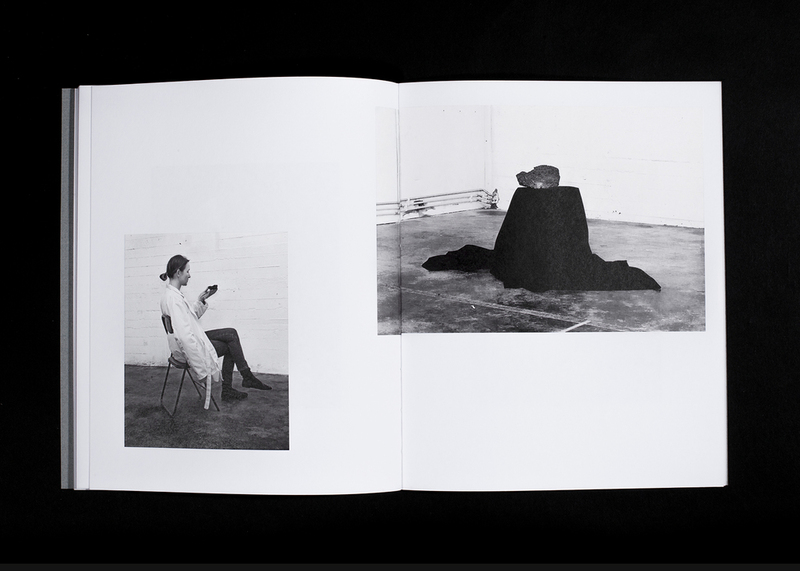 Its low mountains and fascinating geological specimens inspired this sci-fi photo book that is meant to playfully illustrate a fictional story about a lunar phenomenon taking place in a sleepy little town. As a medium that boasts power and authority, photography remains a complex tool that inherently elicits the truth while simultaneously hinting at the possibility of fiction. These images, constructed using rocks found from the surrounding landscape, are playfully rearranged and photographed within the context of a scientifically ambiguous narrative. Like images mined from forgotten archives, the photographs borrow reoccurring elements from space and forensic photography. Collectively, the work creates a mosaic that re-presents situations from a research project performed in a remote town. 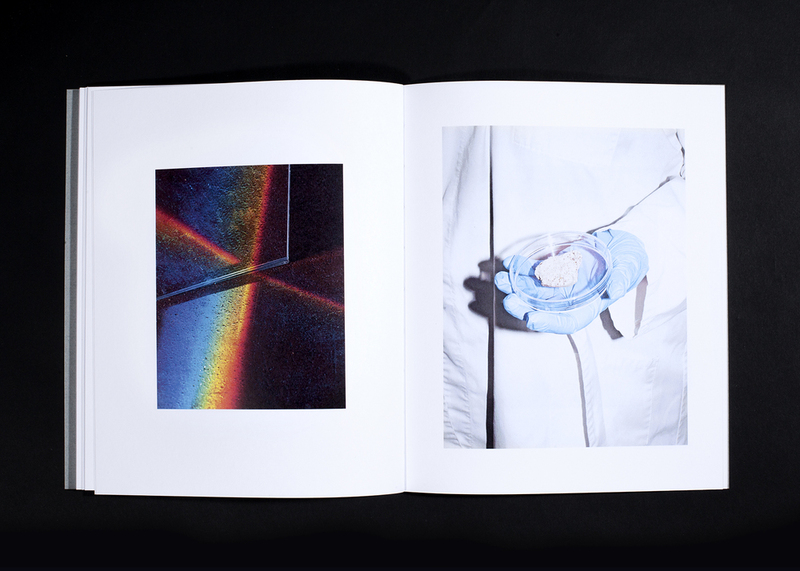 Weaving together photographs of possible lunar samples, scientific machinery and cosmic landscapes, the book forms an eclectic visual journal of a man and his relationship with the cosmos. Containing 70 unique images across 99 pages, it also includes a fictional short story written specifically in dialogue with the images by Australian playwright Emma Gibson .